During the years 2003 – 2007 two small enriching dams were created in the river Yialias at a total cost of €48.000 in order to enrich our water drillings. Cleaning of the dam in the river Yialias in 2008. Expansion of the water supply network during the years 2004, 2005, 2006 and 2011. During the expansion, part of the village was connected to the water tank located in the industrial area. The total cost for the expansions was at €200.000. Replacement of 2km long asbestos pipes that were part of the central water supply network with new plastic PVC pipes. The replacement began from the Poupes area and continued until the village’s main road. The total cost was €140.000. The construction of two new water tanks at the location Poupes, of a total capacity of 1000 m³, took place in 2006 and 2011. The cost of the project was €215.000. The completion of the above projects has permanently resolved the water supply problems of our Community, ensuring constant water supply. Construction of pavements along Grigoris Afxentiou Street and Papastavrou Papagathaggelou Street during the years 2004, 2006 and 2007. This project has ensured safe passage for all residents and most importantly of the children attending the primary school and the Gymnasium. At the same time, rainwater sewerage pipes have been installed to resolve flood protection issues. The total cost of the project was €350.000 and it was covered entirely by the state. Construction of a pedestrian area which links Olympou Street with Griva Digheni Street took place in 2009. The construction cost was €50.000. The appropriate rainwater pipelines have been installed along several streets of the Community, namely on Papastavros Papagathaggelou Street, on Grigoris Afxentiou Street, on October 28th Street, at the junction of Olympou and Griva Digheni Street, as well as along Pastoyiannou, Agias Marinas Streets and along the road leading from Agia Varvara to Kotsiatis. Bituminization of Evagoras Pallikarides Street (Karpasitis area). Bituminization of Pastoyiannou Street (Laxies area). 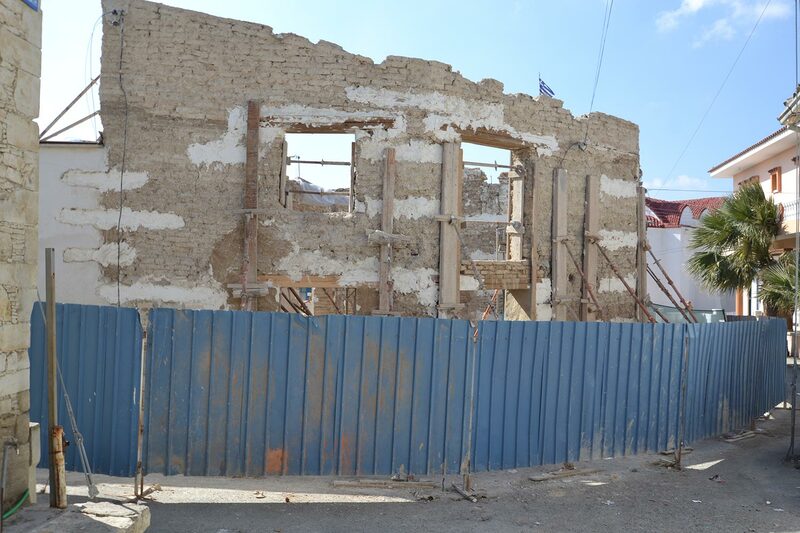 Bituminization of Griva Digheni Street (Rotsovrysi area) to link the Community with the industrial area. Cost: €25.500. 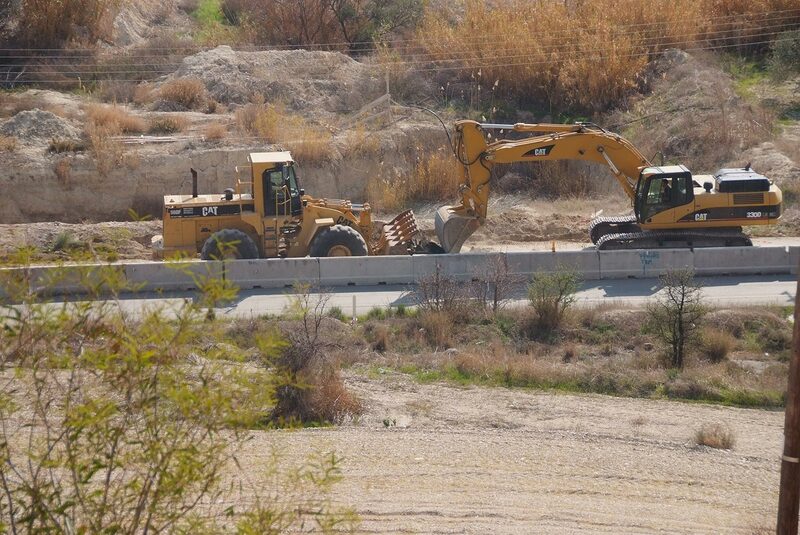 Construction and bituminization of a road leading from Agia Varvara’s borders to Alambra. The road cost €100.000 and it was entirely covered by the Ministry of Defense. Construction and bituminization of the new road linking Agia Varvara with the Community of Alambra, located along the motorway leading from Nicosia to Limassol. Construction and bituminization of Dramas Street, along with the construction of a bridge. Regular asphalt screeding along community roads (Griva Digheni Street, Olympou Street, Isaak and Solomou Street, Antrea Spanou Street, Pastoyiannou Street, October 28th Street etc). After a request was submitted to the Ministry of Education and Culture, the construction of a new modern building, which first operated in 2010, was achieved. The school is fully equipped and able to cover the needs and demands of our era. Our excellent cooperation with the Ministry of Education and Culture has contributed to the Ministry covering the entire total cost for the purchase of the land and the construction of the school, which rose to €700.000. During the construction of this project provision was made for the operation of a second classroom. Due to increased needs, the Ministry of Education proceeded with the completion of the second classroom. All necessary measures have been taken to upgrade the school building and establish it as an earthquake proof one. Additionally, all necessary equipment and teaching aids have been acquired, with a total cost of €273.000, which was entirely covered by the Ministry of Education and Culture. Since 2006, when we assumed duties as School Inspectorate, the Multiple Usage Hall has been upgraded, including upgrades to the floor, the paint on the walls, the soundproofing of the different areas, as well as the installation of proper lighting and modern sound systems. In cooperation with the Technical Services of the Ministry of Education, the Principal and the Parents’ Association, the entire premises of the Gymnasium have been upgraded. An entertainment hall and workshops have been built, while a canteen and staff car park have also been created. Safety rails have been installed and flood protection works have been completed, while the yard has been configured in such a way that it can be used by the students. Finally, the necessary equipment for the operation of the school was bought, with the above purchase costing €500,000, a sum that was entirely covered by the Ministry of Education and Culture. The construction of the Park took place in 2010 and aimed at honoring the heroes of our village. Its location next to the Gymnasium was nothing but random. The area was chosen so that it could constitute a Monument of historic memory for the youth of the Community. The construction cost rose to €50,000 and it was covered by the Ministry of Communications and Public Works and private grants. The District Administration of Nicosia has awarded the Community’s Heroes’ Park as one of the two best Parks in the Nicosia District. The creation of greenery areas and parks has been a primary concern for the Community Council. Up until today various greenery areas have been tree planted (Holy Cross Chapel, Poupe Hill etc.) and a park has been constructed in the area where the plots for the poor families are located. The Amphitheatre at the Holy Cross Chapel has been expanded, while electricity is also supplied now. As a result, lights have been installed in the Chapel and Amphitheatre’s area. 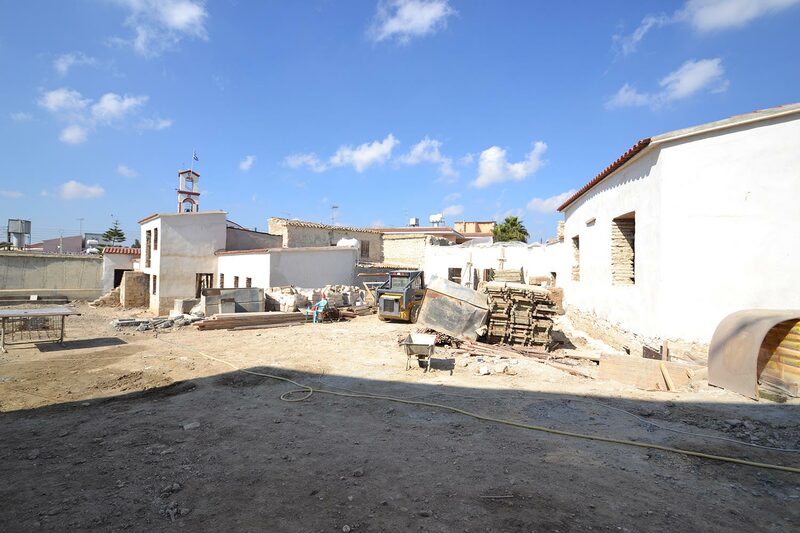 The cost of these works was covered by the Ministry of Communication and Public Works, the Ministry of Interior, the District Administration of Nicosia and the donations of fellow villagers and other citizens. The construction of all necessary infrastructure works for the handcraft industrial zone has been completed and all procedures for the allocation of plots to those eligible are under way. The construction cost rose to €210,000 and it was entirely covered by the Ministry of Industry and Commerce. During the years 2009 and 2010 the existing cemetery was expanded. The appropriate area configuration has been completed, the internal road has been bituminized and graves have been designated. Finally, the car park has been formed and a kiosk has been constructed to cover the needs of the Cemetery. 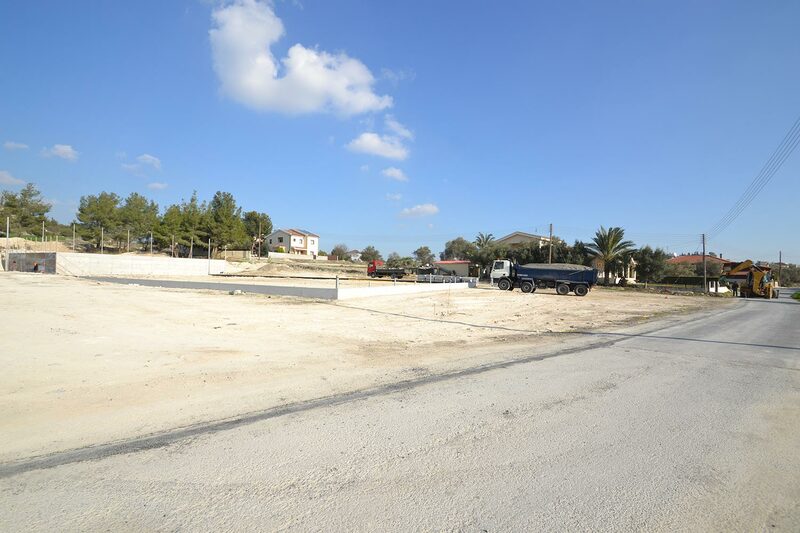 In cooperation with the District Administration of Nicosia, four stages for the separation of plots have been completed so far and a fifth one is being prepared. 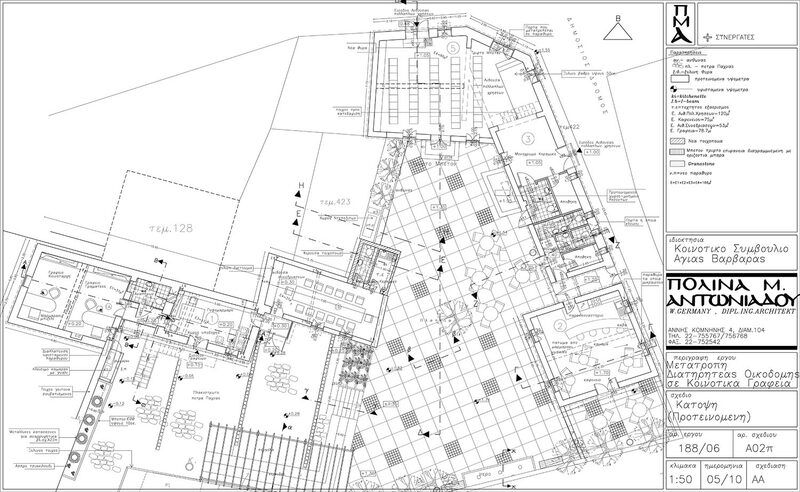 As it is known, these plots are allocated to families who meet the requirements set by the Government Cabinet. What is also noteworthy is that families of our village are given priority as far as the allocation of a plot is concerned. 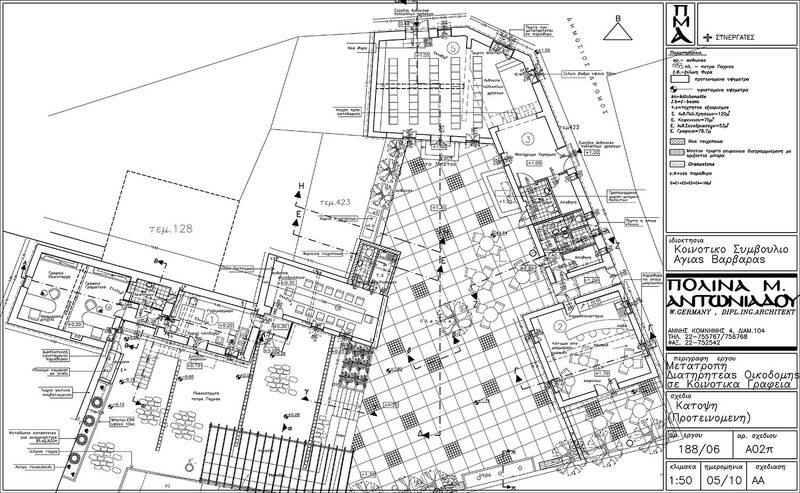 The process for the preparation of a Local Plan in our area began in May 2011. The Community Council considered the requests of the residents and presented them to the Competent Authorities to be adopted. The completion of the procedures and the publication of the Zones were held in June 2012. After Mr. Georgios Stavrou Kampouri donated the residence of Georgios Savvas to the Community, the Community Council, after buying five more neighboring residences, proceeded with the construction of Community Offices and the formation of the Central Square. The construction cost rose to €650.000. A study is being prepared on how problems arising during heavy rainfall in the Southwest heights of the housing can be dealt with. Plans are being prepared for the installation of a central rainwater sewage along the road leading from Agia Varvara to Mathiatis. 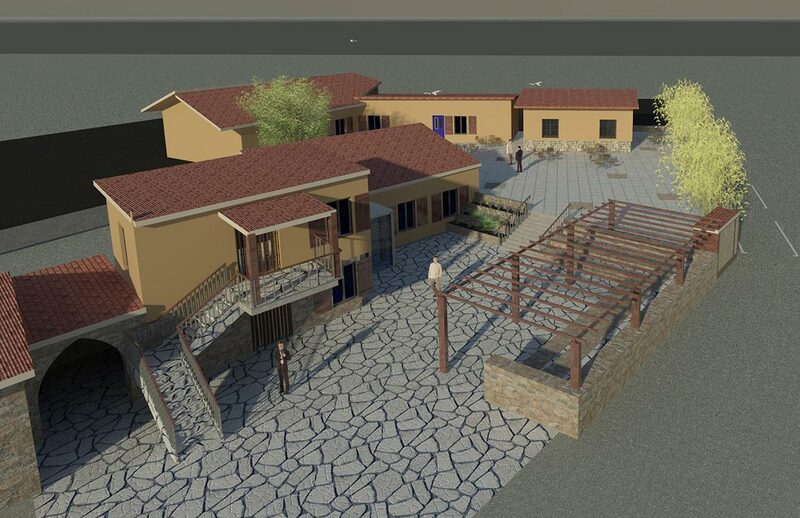 Moreover, in cooperation with the Department of Public Works and the Community Council of Pera Chorio and Nisou, a hydrologic study is being prepared in order to resolve problems arising at the entrance of Agia Varvara, near its borders with Pera Chorio. As it is well-known, the construction of the stadium was to begin in 2007. 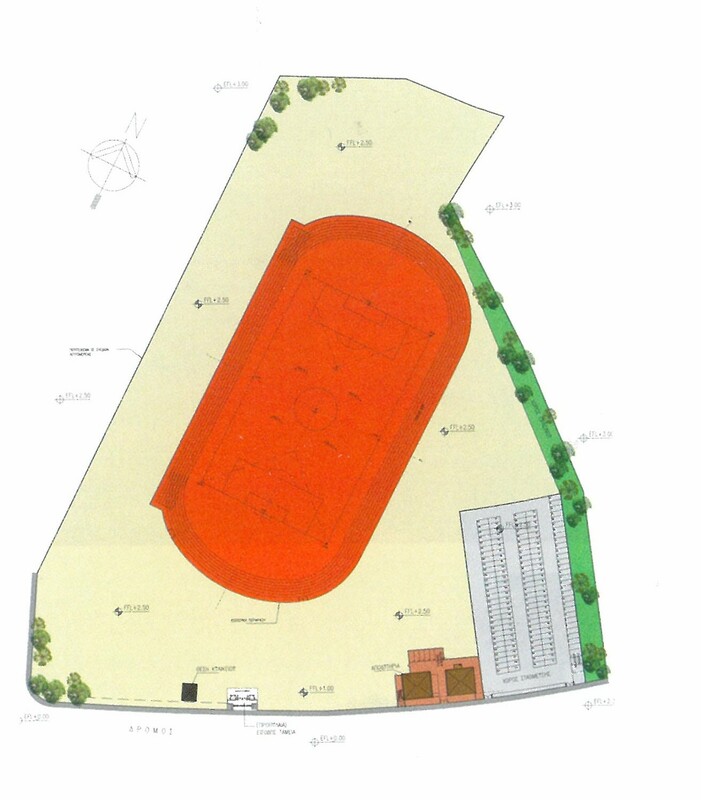 However, the Cyprus Sports Organization proposed that a larger sports centre be erected in cooperation with the Community of Alambra, which, apart from the football pitch, would include a sports track. In addition to the track, the centre will consist of stands, a car park, changing rooms, storage rooms and everything else a modern Sports Centre requires. For this reason, the new stadium will be constructed elsewhere, on the borders with Alambra, since the original plot that had been selected was not big enough for such a project. Today all necessary studies have been completed and all necessary permits have been issued. The terms for the invitation of tenders have been prepared and it is expected that a contract notice will be issued at the beginning of 2012. The stadium’s construction cost will rise to €1.800.000. 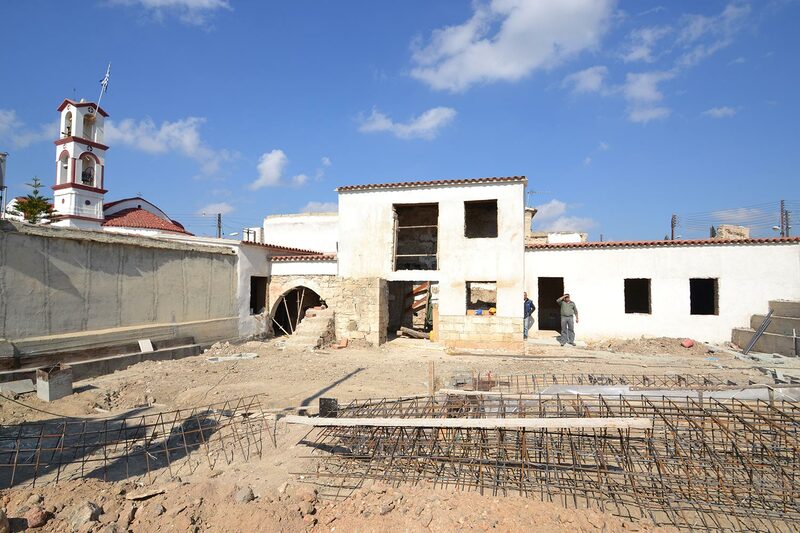 After the Community Council acquired the residence of Georgios Savvas in the form of a donation on behalf of Mr. Georgios Stavrou Kampouris, they proceeded with the purchase of five more neighbouring residences so as to construct Community Offices and a Central Square. Today, all necessary studies have been completed and all necessary building permits have been issued, while all terms for the invitation for tenders regarding the project have been prepared. 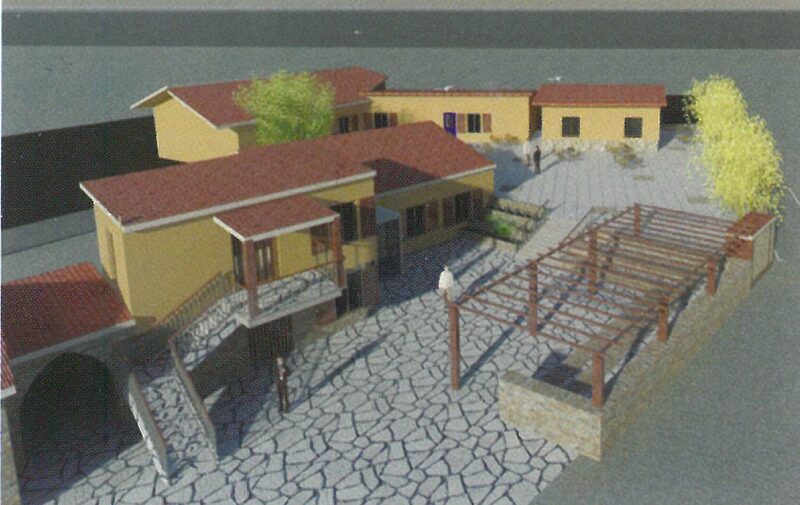 The construction cost will rise to €650.000. In cooperation with the Department of Public Works, a contract notice will be declared for the reconstruction of Grigoris Afxentiou Street, at the entrance of the village. This project concerns the reconstruction of the road starting from the bridge and up to the Regional Gymnasium, as well as the installation of rainwater pipes. At the same time, the road leading to Agia Marina will be repaired and used as a bypass. The construction cost is expected to rise to €500.000 and it will be covered entirely by the Department of Public Works. 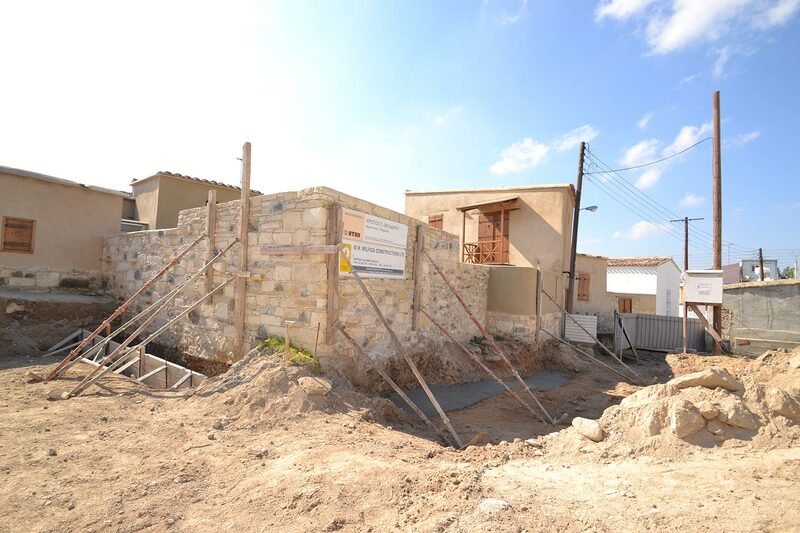 In cooperation with the District Administration of Nicosia and the Town Planning and Housing Department, a bypass leading to the Self-Housing has been designed and will be constructed so as to resolve traffic issues that have arisen. The construction cost is expected to rise to €150.000 and it will be covered entirely by the Department of Town Planning and Housing. 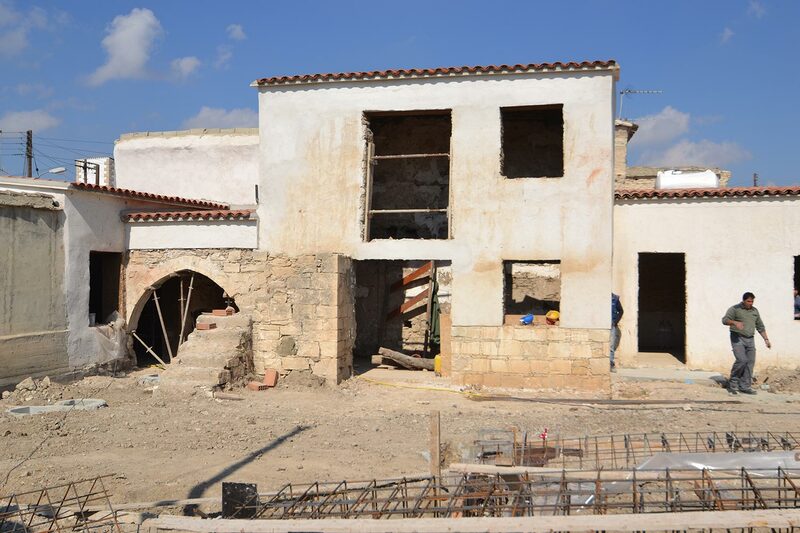 A study is being prepared by the Department of Town Planning and Housing and the District Administration of Nicosia regarding the creation of a road which will link the Self-Housing area to the road leading from Agia Varvara to Alambra. With the help of the Department of Town Planning and Housing, we are moving on with the creation of four greenery areas at the Self-Housing area. The delayed completion of the project is due to issues that arose regarding the purchase of the land where the Community Park was going to be built (plant nursery area). Fortunately, all complications have been overcome and all required studies have been completed, whereas a town planning permit has also been issued. Currently, we are waiting for the construction permit to be issued so as to proceed with the construction of the project. Due to the heavy rainfall of the previous years, moisture problems have appeared at the Primary Industry Museum and Cultural Centre (Mylos) and therefore a study has been prepared for the restoration of the damages to the buildings, while the maintenance works are expected to begin soon. At the same time efforts are being made to find the funds necessary for the restoration of the listed building next to the Museum so that it can be used as a Cultural Centre. All studies by the Water Development Department have been completed and the induction of our Community to the Sewerage Board of Nicosia has also been decided. The Board has assigned a private company with the task of preparing the construction blueprints, so that the required sewerage system can be constructed as soon as possible. The state has approved the concession of land and the final Contracts are expected to be given to the Community so that proper configuration of the area, which will be able to host various events, can take place. All necessary steps towards the competent authorities have been taken to plan and effectuate the construction of the New Primary School which will comprise 12 classrooms and all necessary labs. An Events Hall with a capacity of 450 people has also been designed. 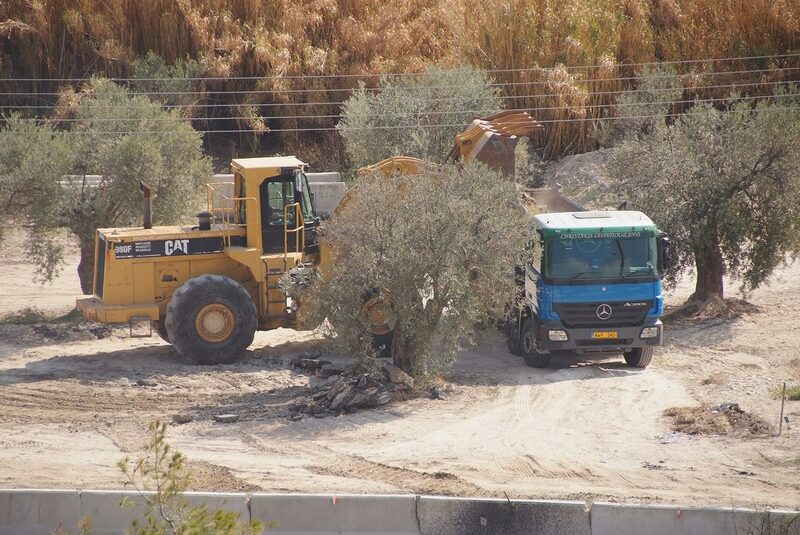 The Ministry of Agriculture and Natural Resources has prepared an environmental study and has assigned a private company with the task of preparing the blueprints for the construction of a water dam in the River Yialias after a request was forwarded by the Community Council. The Council is intensifying its efforts for a prompt completion of the project. The community aims at having all water supply pipes within the community replaced with new plastic PVC pipes. The Community Council has applied for the construction of pavements along Grigoris Afxentiou Street and Papastavros Papagathaggelou Street, which are located within the residential zone and is waiting for the release of the necessary funds by the Ministry of Communications and Works. The Community Council has requested the preparation of a Master Plan and the Department of Town Planning and Housing is preparing a study on the issue. The Master Plan will be completed and published so that it can constitute a tool necessary for more developmental works to be effectuated, thus allowing our community to continue to grow. 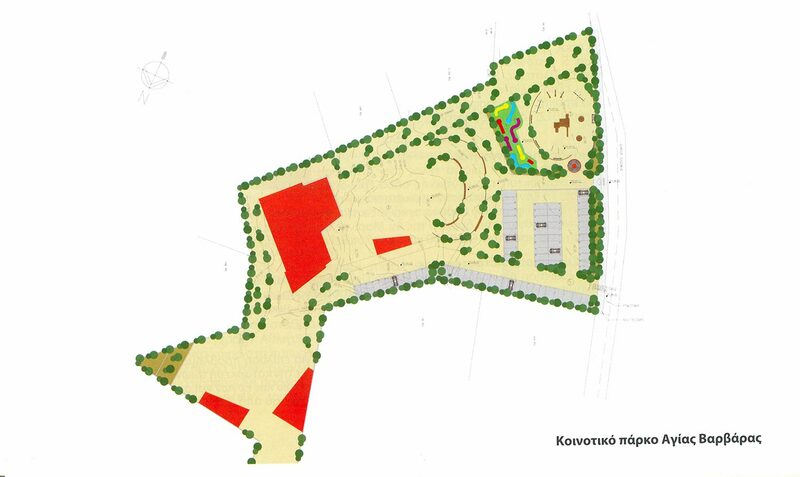 Purchase of land for construction of community buildings and square. Construction of water tank, in the “POUPES” area, for the coverage of the community needs. Construction of slab-paved sidewalks, along the main road. This project started in 2004 and will be concluded in three phases.